A new report from Government Accountability Office found more than $1.2 billion in duplicate investments in information technology (IT) between two federal agencies. 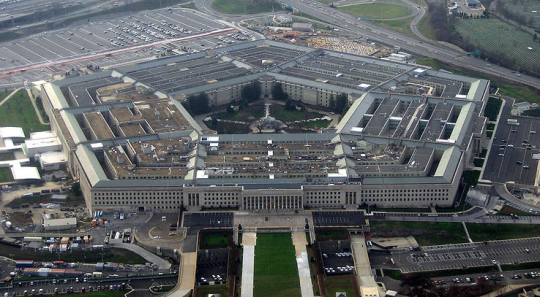 The report, released this week, reviewed a sample of more than 800 IT investments by the Departments of Defense (DOD) and Energy (DOE) made between fiscal years 2007 to 2012. GAO found 37 examples of "potentially duplicative" or "misclassified" investments—31 at DOD and six at DOE. For example, the report identified four U.S. Navy (DOD) investments in personnel assignment technology, including a separate system for officers, one for enlisted personnel, one for reservists, and one general assignment system, for a combined total of more than $28 million. The Navy also spent a combined $16.6 million on five separate investments for "supply chain management." The Energy Department made three separate investments in records management systems totaling $6.6 million. The federal government spends tens of billions of dollars each year on such investments. In fiscal year 2011, spending on IT accounted for nearly $80 billion. GAO examined only a small sample of IT investment, and expressed concern in the report that such duplication is even more widespread than the findings suggest. "Given that our review covered 11 percent (810 investments) of the total number of IT investments that agencies report to OMB, it raises questions about how much more potential duplication exist," the report states. Sen. Tom Carper (D., Del. ), one of six lawmakers who requested the GAO report, described the findings as "just the latest example of mismanagement and waste within our government’s costly information technology portfolio." "Now more than ever, we must be better stewards of taxpayer dollars in all programs and learn how to do more with less," Carper said in a statement. Sen. Susan Collins (R., Maine) echoed this sentiment. "Federal IT programs have been plagued with cost overruns, program failures, and duplication," she said. "Taxpayers should not have to pay for federal IT projects twice. It should not take a GAO report for agencies to realize the potential for costly duplication within their IT portfolios." The report is in keeping with a previous GAO finding on duplicate government spending. A March 2011 report prepared at the request of Sen. Tom Coburn (R., Okla.) identified as much as $200 billion in duplicate spending throughout the federal government. This entry was posted in Issues and tagged Federal Bureaucracy, GAO, Government Spending, Susan Collins, Tom Carper. Bookmark the permalink.